Azerbaijan has called for peace talks with Armenia, but the two sides cannot agree on even basic facts. Rovshan Rzayev, an Azerbaijani MP, told EUobserver in a recent interview that he wanted to rebuild links with Armenian people in Nagorno-Karabakh. “I’d like to invite leaders of the Armenian community in Nagorno-Karabakh to hold a dialogue with us in the Azerbaijani community. We’re ready for discussion. We’re ready for peace,” he said. “This [dialogue] could be in Nagorno-Karabakh, in Tbilisi, in any European city, or in Moscow,” he said. He spoke shortly before Azerbaijani president Ilham Aliyev called for a resumption of formal peace negotiations on Wednesday (15 March). “The negotiations should resume as soon as possible … We want this conflict to end. We want peace in the region, allowing Azerbaijani refugees to return to their homeland,” Aliyev said on his Facebook page while on a visit to France. The Nagorno-Karabakh conflict has lasted for almost 30 years and if it escalated it could turn into a regional war involving Russia, Turkey, and Iran. Rzayev said one reason why fighting was on hold was balance of force. He said Azerbaijan’s army was “many times” stronger than Armenia’s, but that Armenia had ballistic missiles that could hit Baku and an Azerbaijan-EU oil pipeline. He also said international diplomacy was keeping hostilities on hold. 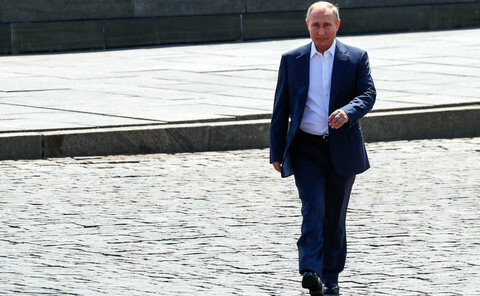 “There are forces that do not allow us to do this [attack Nagorno-Karabakh] because they [Armenians] have a very strong lobby in Russia, in France, and in the United States”, he said. France, Russia, and the US co-chair the so-called Minsk group that mediates in the conflict and contain large Armenian diasporas. 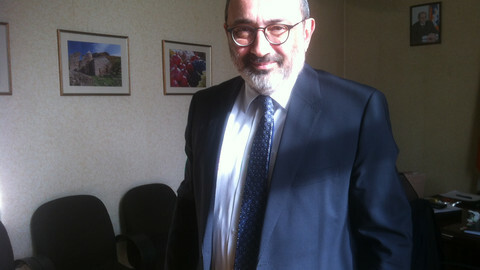 “Their [Armenians’] support from outside is much higher”, Rzayev said. The conflict began in 1988 when Armenians in the Nagorno-Karabakh district in Soviet Azerbaijan tried to join Armenia. A subsequent war claimed over 20,000 lives with atrocities on both sides. Full hostilities ended in 1994, but Armenia still occupies Nagorno-Karabakh and the two sides exchange fire almost every day. They rarely talk and their accounts of current and past events are as opposed as stepping through a mirror. 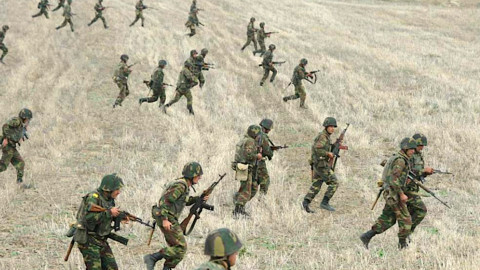 Armenian authorities in Nagorno-Karabakh recently told EUobserver that Azerbaijan attacked it last April and that Azerbaijani special forces murdered Armenian civilians. But Rzayev said the Armenians started it by shelling Azerbaijani villages and that allegations of civilian murders were “a fabrication”. There are no foreign monitors to see who is telling the truth and the competing stories go back to the origin of the conflict. Armenian authorities told EUobserver that Azerbaijani forces killed their own civilians in the town of Khojali in 1992 and blamed it on them. Rzayev said Khojali was an Armenian “act of genocide”. 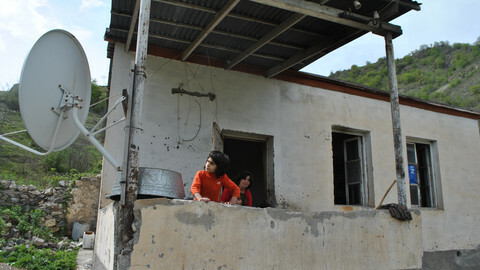 EUobserver recently spoke to an Armenian refugee in Nagorno-Karabakh who fled a pogrom in Baku in 1988. 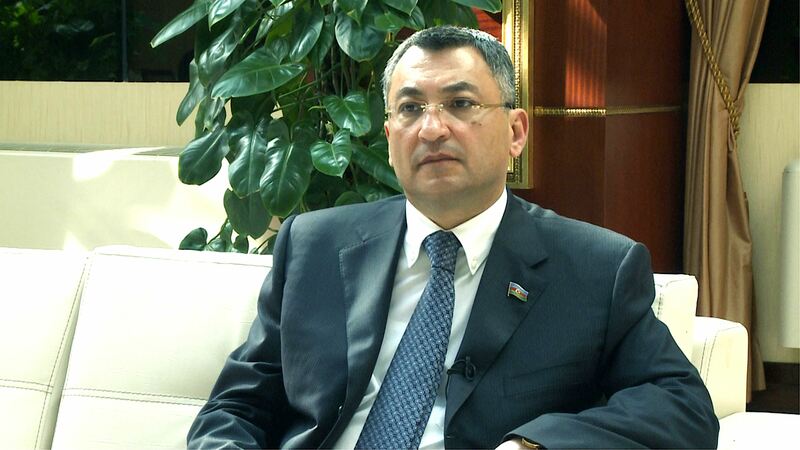 Rzayev said Armenians in the Soviet elite organised the anti-Armenian pogroms and blamed them on Azerbaijan. “This was a pretext to start the occupation policy [of Nagorno-Karabakh],” he said. The information war is important for both sides’ diplomacy. Azerbaijan’s EU embassy proposed the interview with Rzayev as a “right to reply” to EUobserver stories quoting the Armenian refugee and other sources. The 55-year old Azeri MP recalled an official visit in 2009 to Shusha, the town in Nagorno-Karabakh where he was born. He became animated and raised his voice when he said how he felt. “I had a terrible pain in my heart because I knew I’d be leaving very soon … It was killing me. I swear to god it was killing me,” he said. He said he saw a mosque that had been “destroyed”. He added that when his delegation flew by helicopter over a valley in occupied territory he saw 18th-century Azeri mausoleums that had been “completely destroyed”. The MP worked as a lawyer in Baku during the 1990s war, but he said his father had seen Armenia's actions with his own eyes. He also cited reports by US and Russian NGOs Human Rights Watch (HRW) and Memorial that corroborated Azerbaijan's account of Khojali. 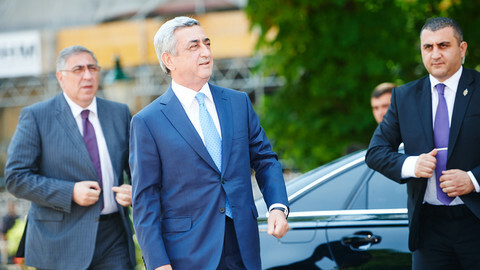 Rzayev said he knew from own work in the Council of Europe in Strasbourg that allegations about Azerbaijani bribery there were an Armenian smear campaign. “I will tell you the truth. I have never lied. I will not lie,” he said. 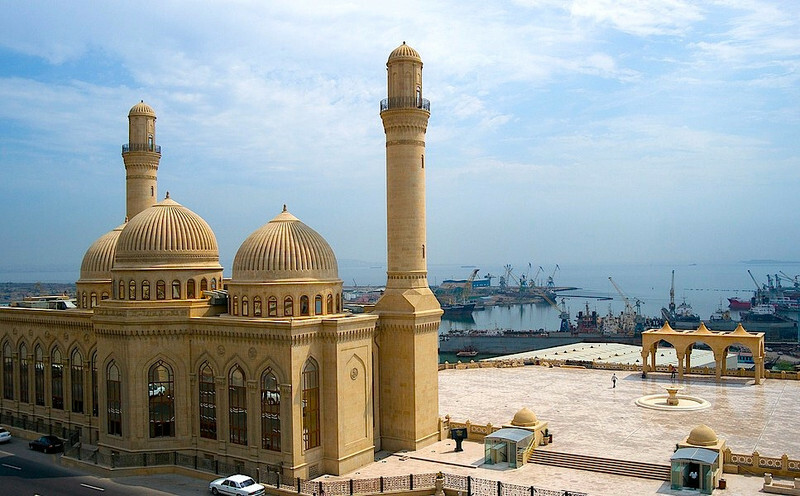 Azerbaijan's image as an oriental dictatorship harms its international credibility on Nagorno-Karabakh. Aliyev recently changed the constitution so that he could appoint his wife as vice-president. NGOs, including HRW, have also criticised his “vicious crackdown” on political opponents and his jailing of human rights defenders, journalists, and bloggers. Rzayev said he was “independent” and “neutral” as an MP. He said Aliyev was “dedicated to the protection of human rights” and justified the jailing of one prominent journalist for “tax evasion”. The Armenian authorities in Nagorno-Karabakh also accused Azerbaijan of broadcasting anti-Armenian hate speech in state media. But Rzayev said he and Aliyev were men of peace. “Armenians suffered, we suffered. They had losses, we had losses,” he said. “We'll never forget this history. I'll never forget it, but despite the facts we have to look to the future. 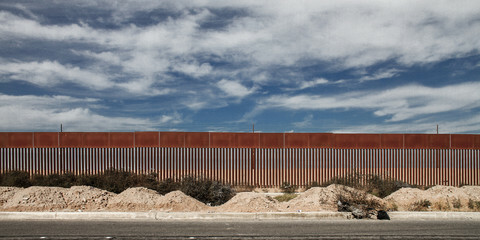 We have to work together to find a way out of the current situation,” he said. This interview is the sixth in a series of stories by EUobserver on the Nagorno-Karabakh conflict. The first part of the series looked at the lives and views of Armenians in the region. 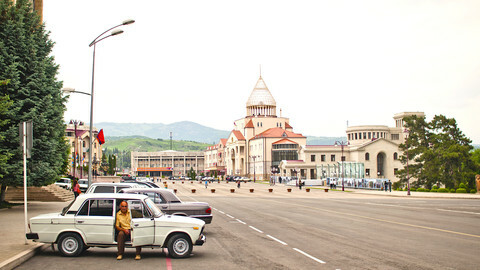 One was about a referendum to create a Republic of Artsakh in Nagorno-Karabakh. A second one looked at the origins of the conflict. A third one looked at the situation on the line of contact. A fourth one was a news update. The fifth one was an interview with Artsakh's chief diplomat. It is not easy to represent the unrecognised Republic of Artsakh, but the stakes could not be higher: extinction. The lynching of a woman in the Soviet Union in 1988 gives insight into why reconciliation remains so hard in the 30-year long war on Europe's eastern fringe. Armenians in Nagorno-Karabakh are voting on a new constitution in the crosshairs of Azerbaijan's artillery, as EUobserver looks at the issues in what could become Europe's next war. Following recent important elections, Armenia is taking a balanced approach to its dilemma between relations with the EU and with Russia. There is a war brewing in Europe's backyard, yet the EU is staying out of the picture.